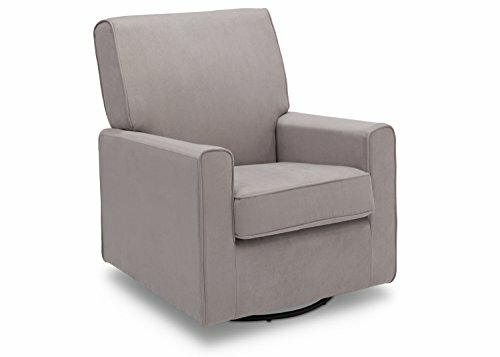 The Storkcraft Hoop Glider and Ottoman gives an instant lift to the decor of your nursery. It makes feeding time easy for mother and child while adding a touch of charm to the room. These color combinations are fixed because they are the most popular colors for the Hoop Glider and Ottoman. The soft polyester gives a comfortable feel while being durable. 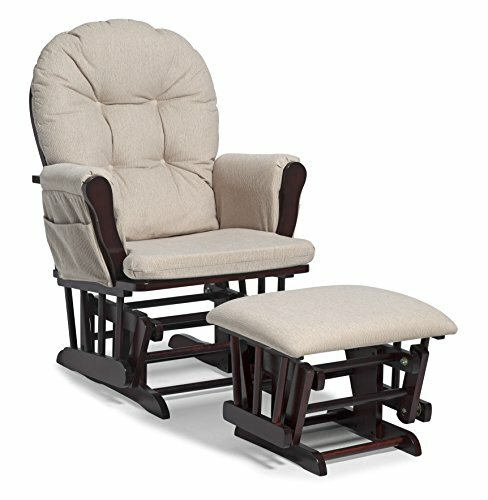 With enclosed metal ball-bearings, this wooden glider allows for incredibly smooth rocking to soothe your baby. Solid wood construction gives these pieces a sturdy feel that you ll appreciate far beyond the baby years. 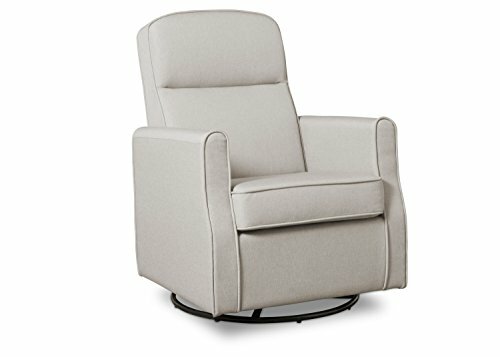 The Baby Relax Tinsley Rocker will become your new favorite spot to relax and spend time with your baby. 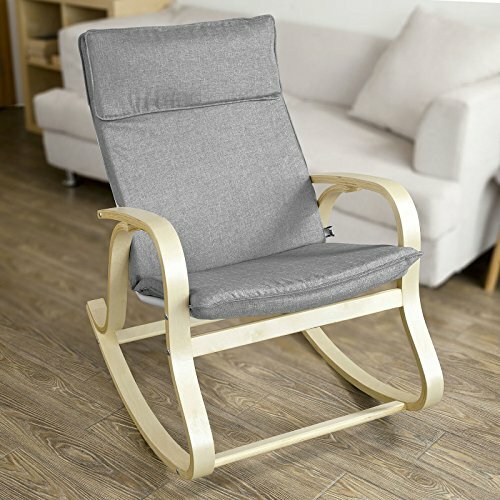 This rocker is a great rocking chair for nursery for those looking for that quintessential baby rocker, but with a few added design and comfort perks. 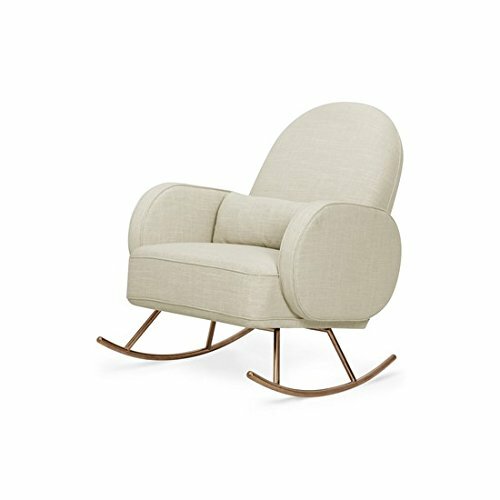 The design details such as the complementing two-tone welting and the button-tufting on the backrest give the Baby Relax Tinsley Rocker that polished look. The soft Microfiber fabric is easy to care for and three fabric color options are available, making it easy to match with your nursery decor. 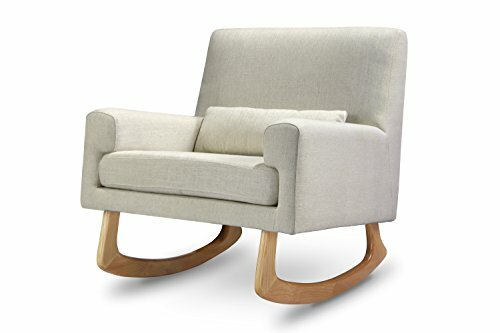 The sturdy construction and espresso finished solid wood feet will ensure years of use and the thickly padded seat, arms, and backrest will have you enjoying every minute spent sitting in The Baby Relax Tinsley Rocker with your little one. 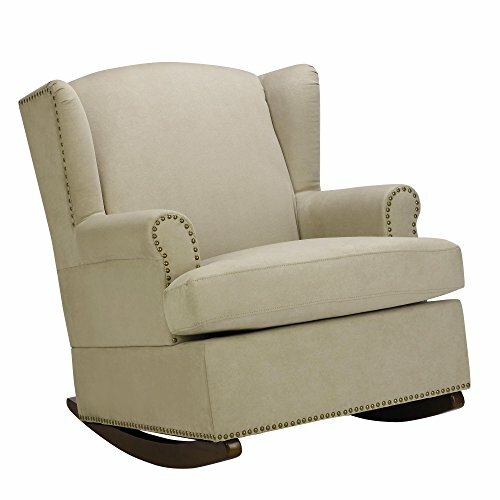 Fall in love with the classic styling of The Baby Relax Harlow Wingback Rocker with Nailheads. 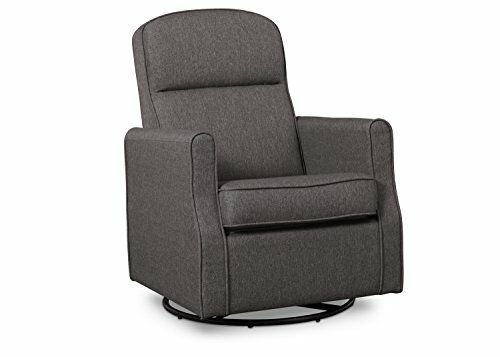 Featuring the cozy comforts of a wingback chair, but elegantly detailed and mounted on rocker feet, this rocker will be a family favorite for tending to baby. 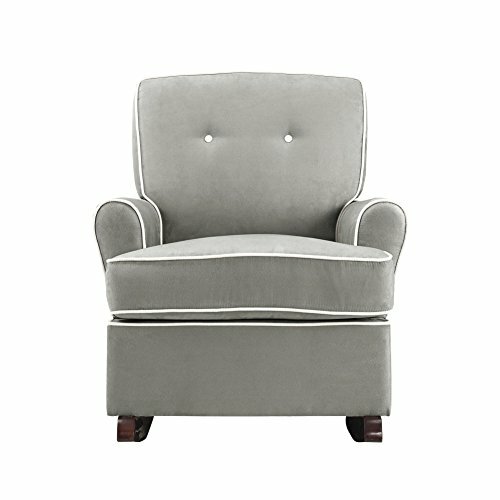 The decorative and individually set antique colored nailheads are found across the base, front arm panels, and wingback side panels for a clean and polished look. The solid wood espresso finished legs complement the soft-to-the-touch upholstery. There are a number of shades to choose from that will enhance the look of your nursery. The sturdy construction and the supportive spring core foam filled seat will ensure maximum comfort and years of use. Now you can rock anywhere, anytime with the Classic Ready Rocker. 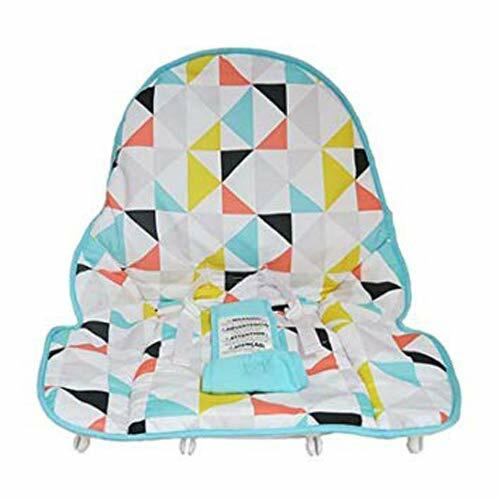 When it's feeding time, bedtime or just cuddle time, a comfortable rocker is a must-have to help make bonding with your baby easier. 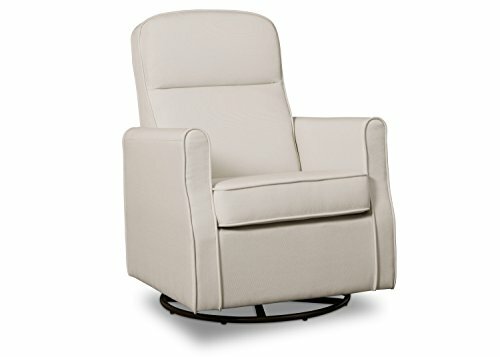 The Classic Ready Rocker turns any chair, bench, or wall into a comfortable rocker. Since it's lightweight and portable, the rocker goes where you go, so you can rock your baby when you need it. Plus, the soft and durable fabric keeps you comfortable while you are doing the comforting. Whether you are in your house or out & about, the Classic Ready Rocker is the perfect solution for rocking on the go! Most people will be rocking with our REGULAR Ready Rocker. The LITE version works best if you wear petite clothing or your feet don't touch the floor in a chair. Lightweight portable rocker to help parents rock their babies anywhere, anytime. 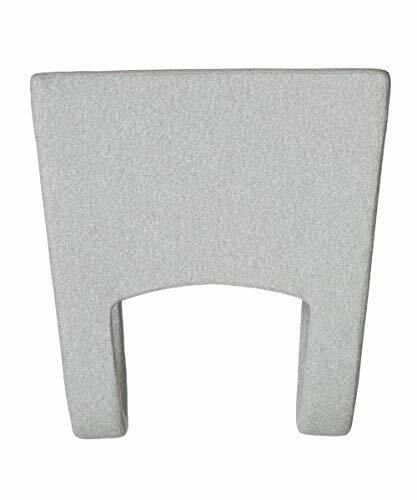 Whether in bed, around the house or on-the-go, the Ready Rocker works against any sturdy vertical surface. Durable and safe, made with enhanced soil and stain resistant finish. Lighter than a 2L bottle of soda and fits into your suitcase, this rocker is ready to travel and store. NO ASSEMBLY REQUIRED! Dimensions: 25.0 In. X 13.0 In. X 22.0 In. | Material: Polyester plush. Wooden rocking base and handles. | ... Safe 'Parents can put their children on the shaker and they will be surrounded by 360 protection. It is also recommended that you add a cushion to your seat to make your child more comfortable. | Comfort 'soft saddle, soft and comfortable, baby play more peace of mind, solid wood base, can bear 80 kg. 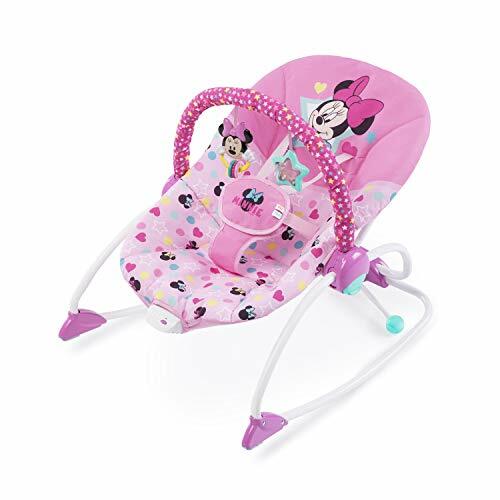 Suitable for 1 year to 5 years old baby. 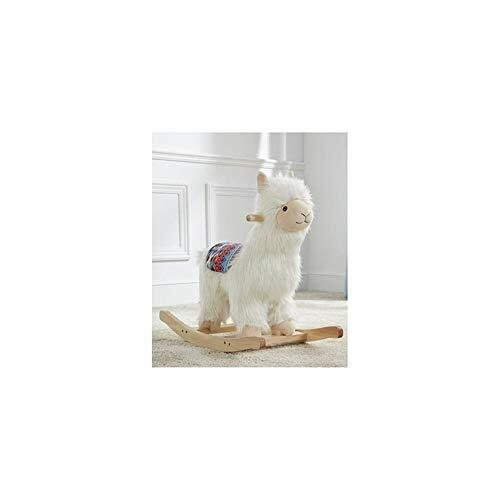 Little ones can go on a make-believe Alpaca adventure. 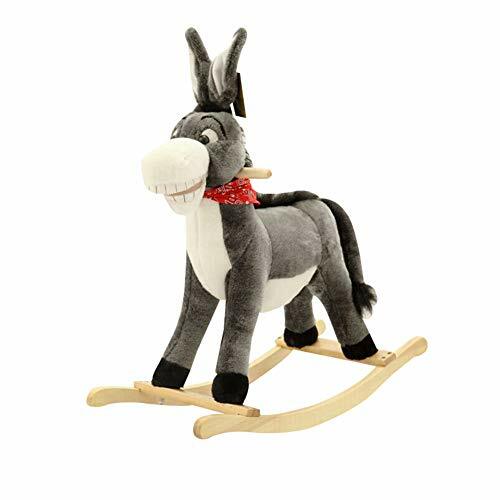 Sweet and huggable, it features solid wood handles and precision-shaped runners for a smooth, secure and gentle rocking motion. Gentle rocking motion. Wooden handles for an easy grip. 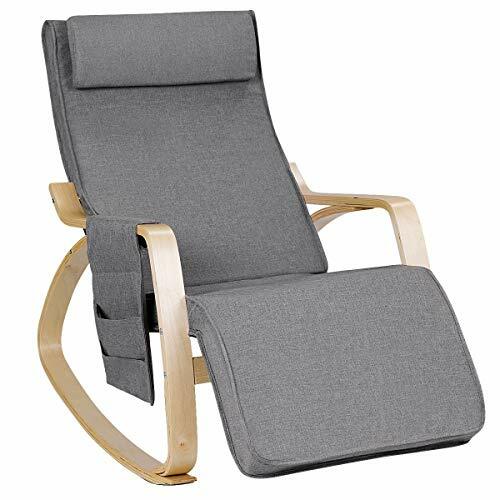 The rocking chair is made of multi-layer birch frame and high density sponges cushion with imitation linen fabric, which is not only solid and durable but also easy to clean up. The wider and soft cushion provides a great comfort to you and your family. And the adjustable footrest angle satisfies various needs and people of various ages. 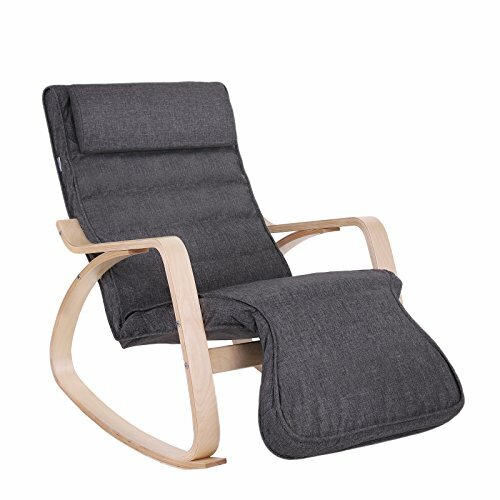 The side pocket on the armrest is convenient for you to store and get something you need when enjoying your relax time. Anti-slip mat at the bottom is great for protecting your chair and floor. The curve wood design better matches your furniture and adds elegance to your home set. Don't hesitate to buy one! The removable cushion fabric and headrest make it easy to clean up so that you can enjoy a clean and healthy environment. Isn't it just the worst when you lose the most important part to a pad? Never fear, we've got you covered! We carry a large variety of replacement parts for your pad or baby product.